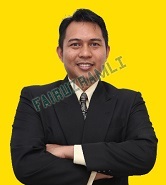 Insurans AIA Public Takaful dan Medical Card Keluarga Murah: What is AIA Public Takaful ? The AIA PUBLIC Takaful Bhd. (AIA PUBLIC) is jointly owned between AIA Co. Ltd. (AIA), Public Bank Berhad (PBB) and Public Islamic Bank Berhad (a wholly- owned subsidiary of PBB). Incorporated on 11 March 2011, AIA PUBLIC leverages on AIA and PBB Group’s leadership positions as well as established infrastructure and distribution networks in the insurance and banking industries to drive growth and increase the Family Takaful penetration in the domestic market of Malaysia. AIA PUBLIC is committed to offering the right Shariah solutions to meet the different life stages needs of our customers. Following the success of AIA's Cup Shirt partnership with English Premier League football club Tottenham Hotspur (“Spurs”) in the 2013/14 season, AIA Group Limited on 13 February 2014 announced it has entered into a new long-term partnership with Spurs. Under the agreement, the AIA brand will feature on the shirts of Spurs players in all competitions until the end of the 2018/2019 season. AIA’s support of Spurs reinforces AIA’s brand position as The Real Life Company, which encapsulates the Company’s longstanding commitment to be deeply engaged in people’s lives. Recognising the vital role that active participation in sport plays in promoting a healthy lifestyle and the special motivation top calibre professional sportsmen can provide as role models, AIA and Spurs also announced that a series of Junior Training Programmes would be undertaken in 2014 in selected AIA markets in Asia, at which Spurs coaches will work with underprivileged children to further develop their interest and participation in football. Football also teaches young people the value of teamwork and as such, it has a positive impact that extends well beyond the playing field. Tottenham Hotspur is one of the top-ranked teams in the English Premier League and has a following of over 180 million supporters globally, with 80 million of those fans residing in Asia. Spurs is one of only three clubs to have won the FA Cup eight times or more and to have won the Capital One English League Cup four times. They were the first British club to win a European trophy after winning the European Cup Winners’ Cup, and they have also won the Europa League, when it was known as the UEFA Cup, on two occasions. Responding to all customer enquiries in a prompt and courteous manner. Offering value added international Shariah compliant products and services that are innovative to suit various needs. Disseminating accurate and up to-date information. Assisting customers with the highest degree of care and understanding of customer’s requirements. AIA PUBLIC considers Shariah compliance of its business operations as its most important and strategic priority. We employ a team of qualified professionals to ensure that the guidance and advice received from Shariah Committee is implemented in letter and spirit. Proper structure and processes are in place to review the Shariah compliance requirement periodically. AIA PUBLIC is committed to ensure that our descriptions and details of products and services offered by us shall not be misleading or false. We shall also ensure, to the best of our ability that any and all representations, statements and assurances, which are made or provided by us, are at all times credible, accurate and true. AIA PUBLIC main objective is to provide credible, reliable, responsive and quality services to our customers at all times. We believe that your comfort and satisfaction is of paramount importance to us and for these purposes, we are responsive and at all times welcome your suggestions and comments in respect of the same. We will endeavor to use all practicable methods in providing you with reliable and high-quality services, which include constant review and evaluation of processes, using high-end hardware, equipment and software for our support system, engaging qualified and trained personnel that our service quality control standards are met. Acceptance – we recognize that we may not have met your expectations and will accept all complaints. Ownership – we are responsible for resolving your complaint. If we need to pass it to someone else due to the nature or complexity of the enquiry/complaint, we will inform you. Collection of information – we will confirm the details of your complaint and clarify if we are unsure. Treatment – we will ensure that you and your complaint are treated fairly. Commitment – we will follow-through on what we commit to doing. Timeliness – if we cannot resolve your complaint straight away, we will strive to resolve it within 14 days. For complaints which may take more time to resolve, we will keep you informed and update you of the progress and status of your case until it is resolved. Resolution – we aim to achieve a mutually acceptable resolution to all complaints. Certificate Information – your name and certificate number. Contact Details – your mobile phone number or other preferred method of contact. Complaint Information – your complaint and chronological of the event. Upon receiving sufficient information, we are committed to investigate your complaint and work towards a solution. AIA PUBLIC welcome and value your enquiries, feedback and concerns as opportunities to understand your needs better. We shall therefore promptly respond to all your communications with us. Customers will be served within 15 minutes. Responses to our automated voice response enquiries are instant. Calls are answered within 20 seconds. Simple and straight forward enquiries are resolved and responded on the spot. cases which require follow up or further review will be responded within 14 working days. An acknowledge receipt of the enquiry will be sent to the sender upon receipt of the email. Email responses would be given within 5 working days from the date of receipt for simple enquiries. For complex enquiries, we shall respond within 14 days unless further extension time is required. For cases which cannot be resolved within 14 days, you will be informed of the progress and update regularly until the cases are resolved. An acknowledgement letter of receipt of your complaint will be sent to you within 2 working days. For simple and straight forward complaint, it is expected to resolve and respond to you within 14 working days. For complex complaint, additional time is required for review, follow up and detail investigation. For complaints which cannot be resolved within 14 days, you will be informed of the progress and update regularly until the complaint is resolved. All complaints received are duly documented and recorded for management reporting and review. AIA PUBLIC is committed to fraud control with an emphasis on proactive prevention, putting in place detection measures in our effort to reduce possibilities which could lead to fraud. Our approach to fraud control centres on maintaining a legal and ethical climate which encourages all stakeholders to protect the Company’s assets and raise any suspicion of fraud. We believe in zero tolerance to fraud. Thus, when a fraud is detected, suspected or alleged, we are committed to fully investigate the matter. We will work closely with the relevant authorities to ensure that justice is served and implement measures to recover as well as to minimize losses. Nothing satisfies us more than the knowledge that we have played a pivotal role in helping you manage your financial future. Our journey with you continues throughout your lifetime and for your future generations. Our relationship with you is built on a platform of mutual trust and respect. To strengthen that trust, we have included some items which could help you in making the right decision pertaining to your policy. The free look period starts from the date you first received your new certificate document. If you decide to cancel your Takaful plan, you have 15 days from the date you first received the certificate document. Please write to us to confirm your intention and we shall refund all contributions paid after deducting any medical expenses incurred in accepting your proposal. The new certificate’s Tabarru charge is usually higher as it’s based on the current age. You may be denied coverage if there are changes in your health condition. In most medical and critical illness contract, the waiting period (the duration when no claim is payable) restart from the new certificate issue date or reinstatement date, whichever is later. You can meet your financial objectives by upgrading your protection coverage instead of replacing it. Exercise your right to keep your financial objectives on track and be wary of undue influence from any party to terminate your existing certificate. You can pay with cash/ credit card directly at our service centers. If you are making your contribution payment by cheque, always ensure that the cheque is payable only to AIA PUBLIC. AIA PUBLIC highly respects every customer’s right to privacy and security of personal information, as well as financial transactions handled by us. We employ the tightest possible measures and policies in our operations for the protection of your private data. Your personal information will only be used by authorized personnel of AIA PUBLIC, organization related to and associated with AIA PUBLIC or any selected third party in the course of processing and administering your certificate. Labels: What is AIA Public Takaful ?